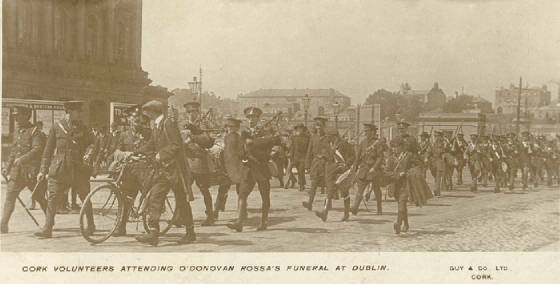 Below is a photo of the Cork Volunteers marching in the funeral procession of patriot O'Donovan Rossa. 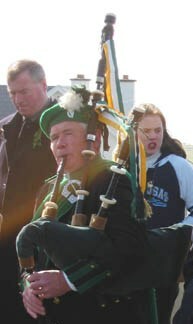 Note the two warpipers. 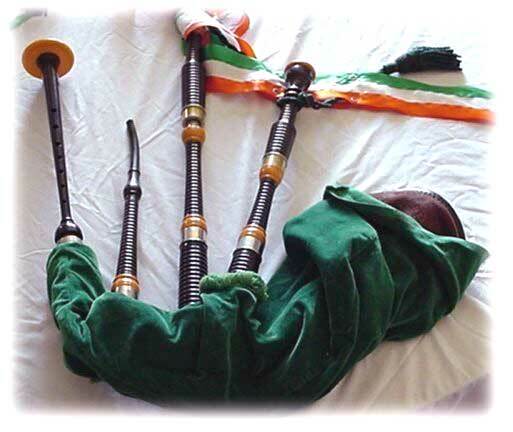 A set of warpipes made by Henry Starck for a piper in the Irish Defence Forces after the founding of the free state in the early 1920's. Too bad that the photo does not show the top of the bass drone. This photo is used by permission of Ringo Bowen. Above and below, Thomas Kelly, Warpiper, Achill Island Co Mayo. 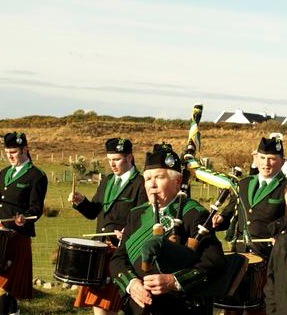 He is a member of the Dooagh Pipe Band. Above and below, Francis Feeley from the Republic of Ireland. 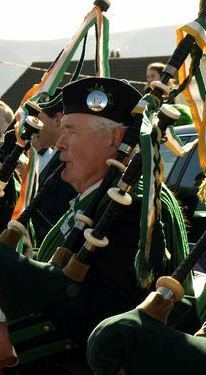 Francis at the International Panceltic Festival. 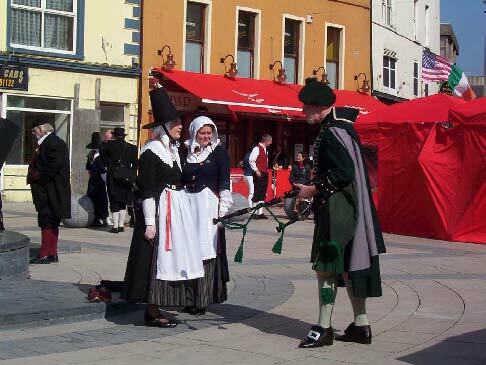 Francis is wearing his shoe buckles upside down in the style of the Irish Fusiliers. 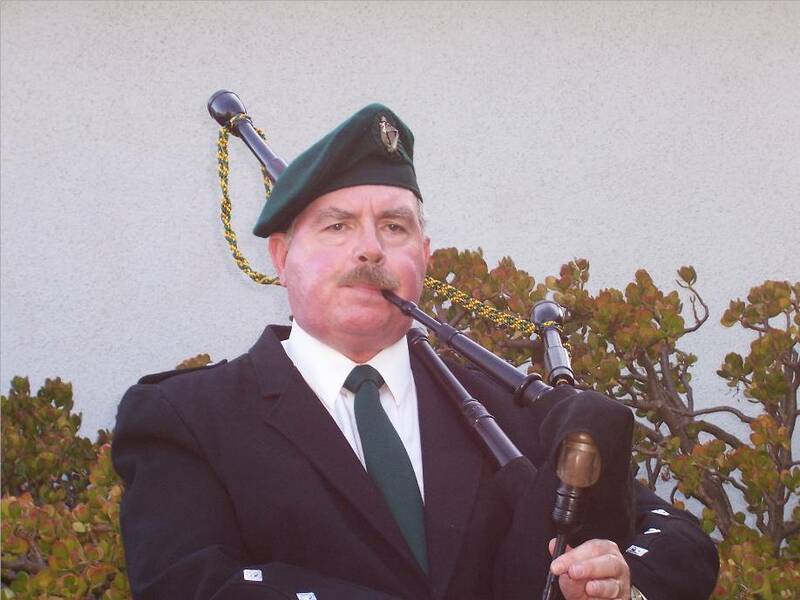 Southern California Warpiper John Cahill. 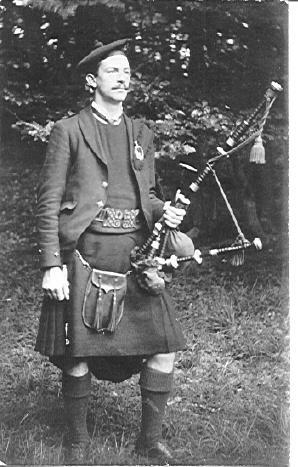 From about 1913, Louis Noble personal piper to Michael Collins. Cork Volunteers (IRA) 1914. This is two years before the picture on the Homepage of this site. 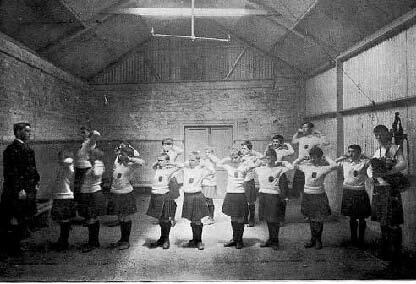 Warpipes being played at St.Enda's School where Padraig Pearse was the Headmaster. Pearse was executed for his role in the 1916 Easter Rising. 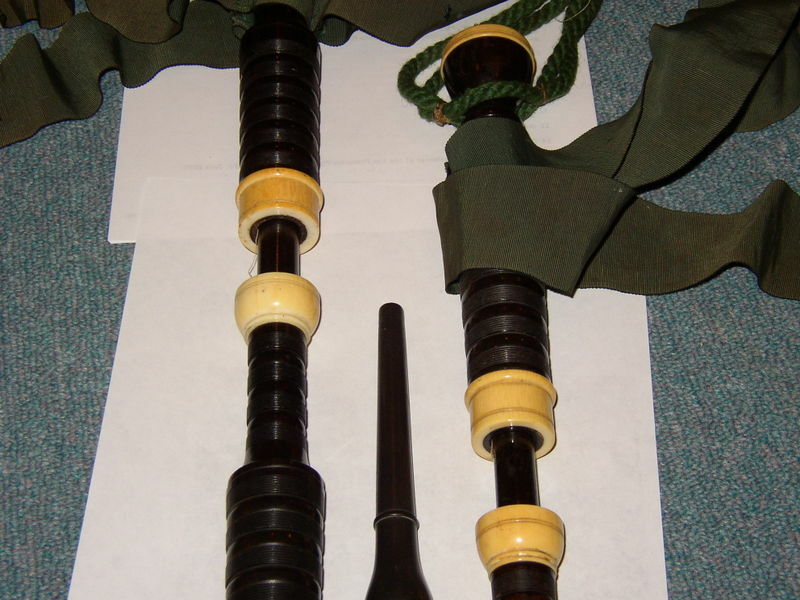 The above picture of a set of warpipes made by Starck, was sent to me in 2006. The owner wanted to sell them to me saying they were "heavy with Ivory". I felt the asking price was way too high so I passed. Too bad, I would love to own them. 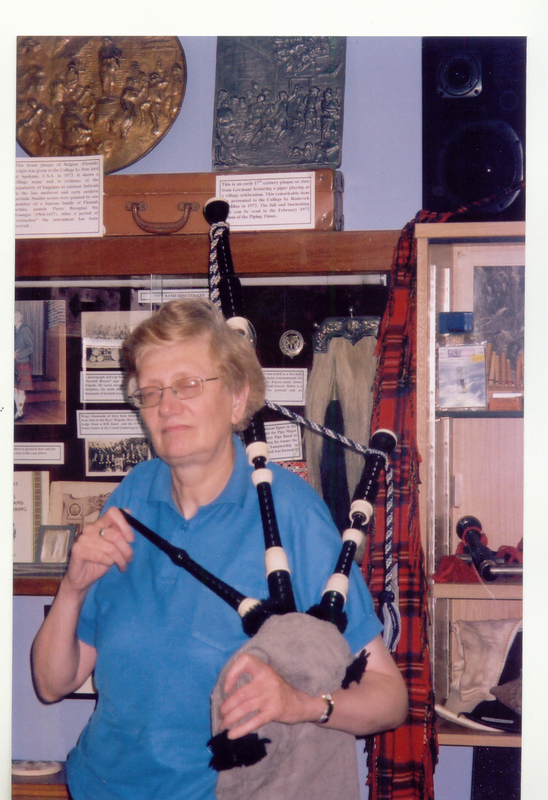 The photo above shows famed author and historian Jeannie Campbell holding a set of Irish warpipes made by Starck. 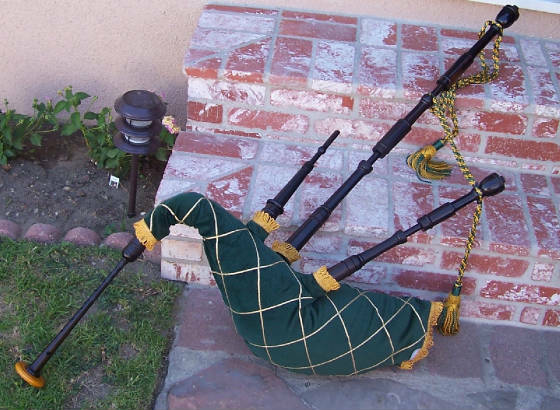 Campbell is the author of the book, Highland Bagpipe Makers, from Magnus Orr Publishing. 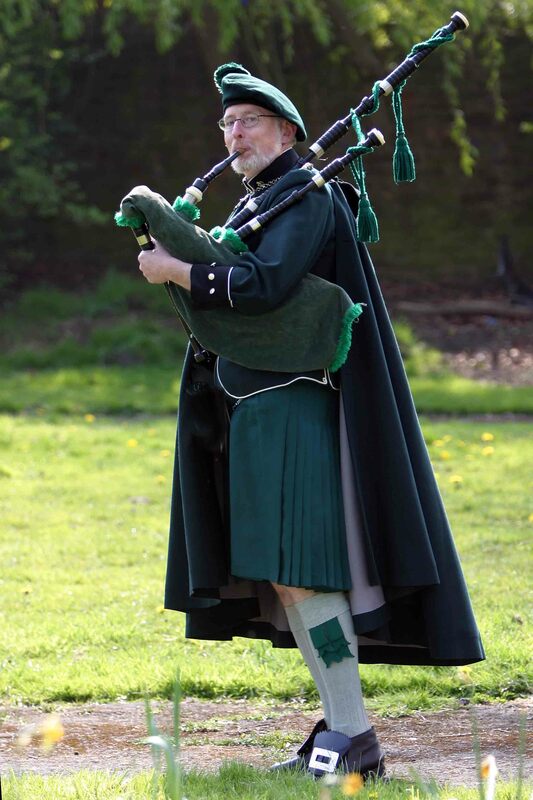 She is also the Curator of the Museum at the College of Piping in Glasgow Scotland. The photo was taken by Ned Lecic who is also a writer and historian. 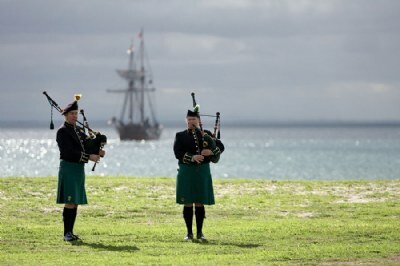 Modern Warpipers Rod and Tracey, Victoria Australia. 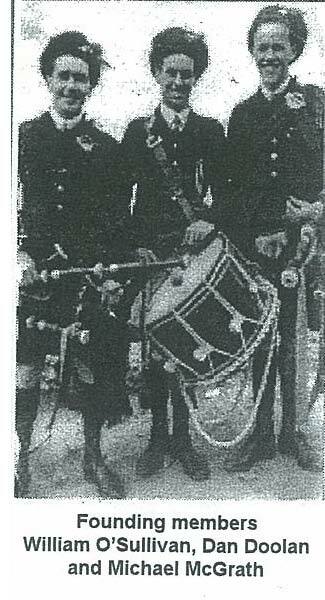 The picture above was taken from the 75th anniversary (1999) booklet of the Thomas Davis Pipe Band in Mallow, Co Cork. The original photo was taken in 1924. 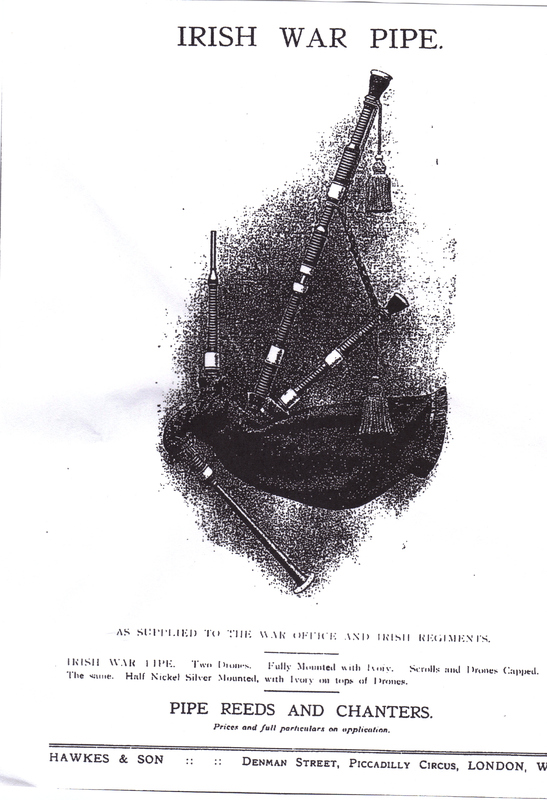 This card illustration dated 1913, is based on the uniform worn by the Black Raven Pipe Band. 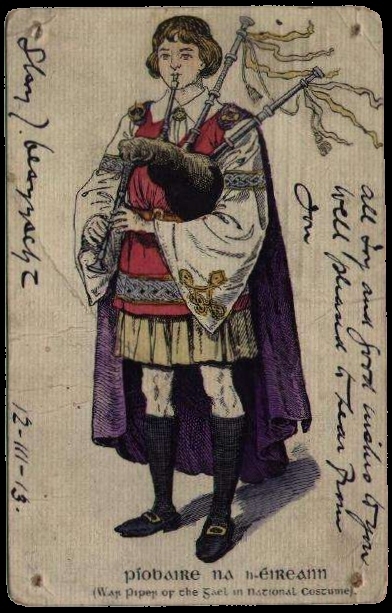 Note the saffron kilt is pleated all the way around, shoe buckles and a cloak/brat type garment over the shoulders and down the back. 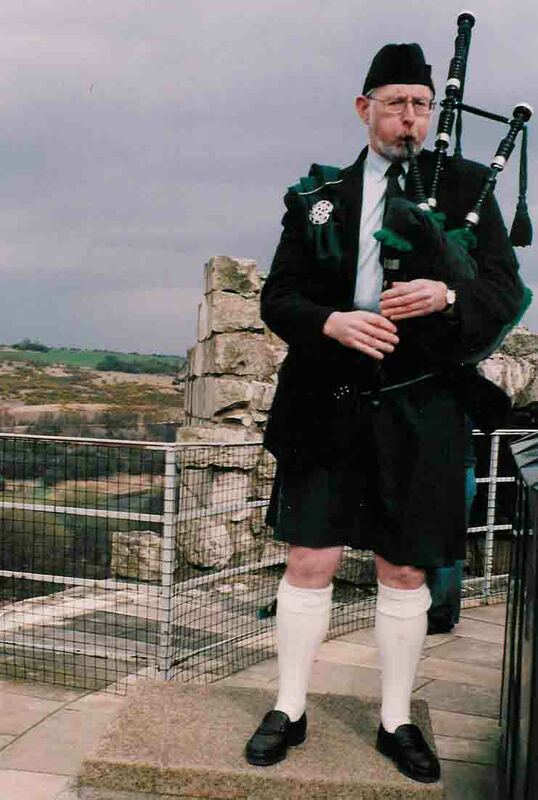 This was the Gaelic League's idea of an Irish pipers national dress. 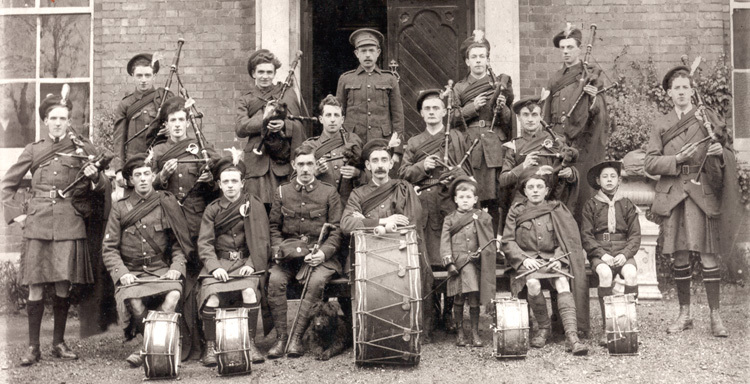 A photo of band from 1913 wearing this type uniform is seen in the galleries on this site. The band is still going strong today. 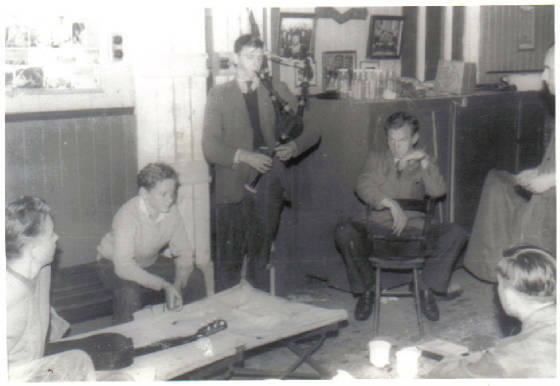 A piper with the De La Salle Scout Pipe Band Co Waterford Ireland, late 50's/early 1960's.